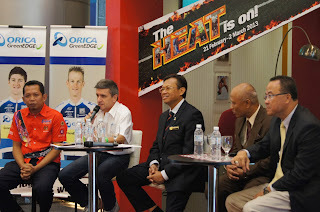 PUTRAJAYA, MONDAY 10 DECEMBER 2012 - The third ProTeam after Astana and Garmin-Sharp to sign up for the 2013 Le Tour de Langkawi, to be held from February 21 to March 2nd, is Orica-GreenEdge from Australia. 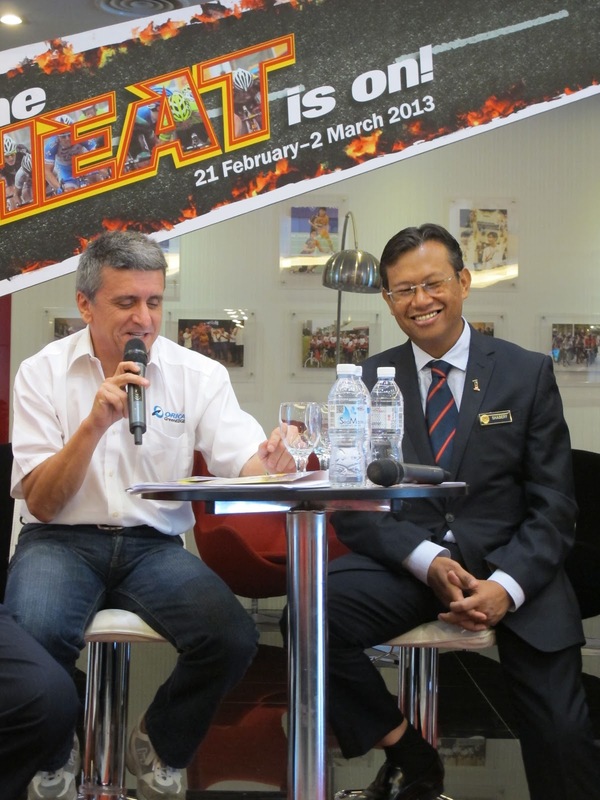 The first team ever from Down Under to have made the cut in the highest rank of world cycling has chosen Malaysia as their new destination in the early part of the coming season. 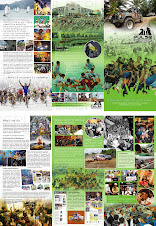 “But our common history is a pretty long one”, said Orica-GreenEdge team manager Shayne Bannan who previously directed the high performance program of Australian cycling via the Australian Institute of Sport (AIS). 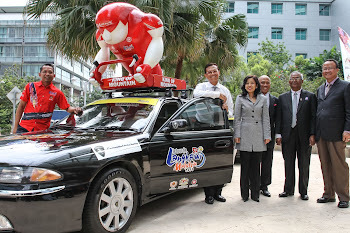 In fact, the first team ever to win LTdL was Giant-AIS back in 1996 when the race was created. Bannan himself was the directeur sportif of the Australian national team at the 1998 LTdL. “That’s where our connection with the Mapei team and their training center in Italy started”, Bannan said. A financial director of Mapei at the time, Italy’s Alvaro Crespi now holds the same position with Orica-GreenEdge. 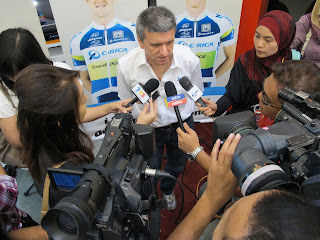 He’s no stranger to Malaysia and paid a visit to Kuala Lumpur to introduce the team for the 2013 Le Tour de Langkawi. 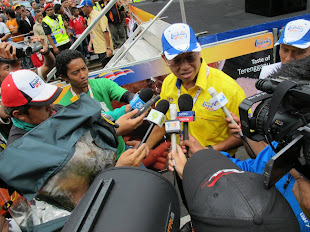 Minister of Youth and Sports YB Dato’ Sri Ahmad Shabery Cheek expressed in his speech today that the race have seen positive response from ProTour teams this year and the popularity of LTdL is gradually picking up. 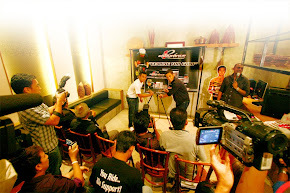 “Indeed, we are proud to have with us the 3rd Protour team for our next race, after Garmin and Astana. 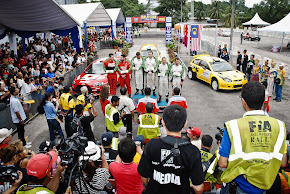 I was made to understand that the responses for this year’s participation is much greater than the previous years.” said Dato’ Sri Ahmad Shabery. 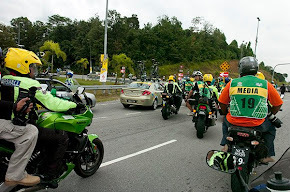 “The organiser of LTdL and Malaysians hope that Orica GreenEdge would have their first experience in LTdL as their best experience in competing in any cycling tours in the world, and return for many years to come.” he added. 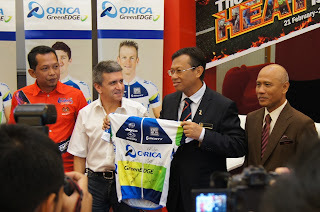 Orica-GreenEdge will make their way to Malaysia with one of their star rider Cameron Meyer who is a multiple world champion on the track and won the overall classification of the 2011 Tour Down Under. He’s touted as the next big thing for Australia as a Grand Tour contender. 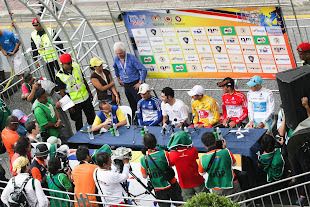 Therefore, considering his climbing abilities and his usual good form in the first part of the year, he’s a clear favourite for the 2013 LTdL in the possible absence of top climbers from South America who usually run the show. 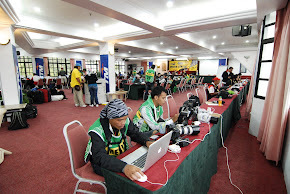 Meyer will be accompanied by his younger brother Travis who is also an excellent track rider and a reliable domestique. New Zealander Sam Bewley who claimed a bronze medal at the London Olympics for team pursuit is also on the line-up. Another star rider in the making is Luke Durbridge. With eight victories, including the prologue of the World Tour event Criterium du Dauphine, he was the most successful neo-pro in the world in 2012 at the age of 21. 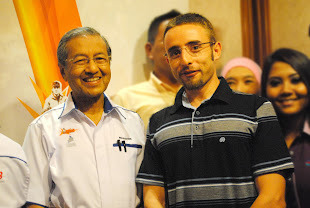 Even though the 2013 LTdL doesn’t feature any time trial, which is Turbo-Durbo’s speciality, his powerful silhouette will for sure be noticed somehow on Malaysian roads. It might be at the service of Pieter Weening. The lanky climber remains the last Dutchman to have won a stage at the Tour de France, back in 2005, but he also wore the pink jersey leader of the Giro d’Italia for four days in 2011. As the staff of Orica-GreenEdge knows the LTdL well enough, they wouldn’t have come without a sprinter and that will be Aidis Kruopis from Lithuania who won four races for the Australian team in 2012, including a stage of the World Tour event Tour of Poland. 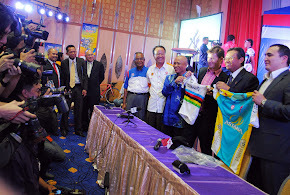 Also present in the press conference were Ministry of Youth and Sports Secretary General Dato' Mohid Bin Mohamed, National Sports Council Director General Dato' Seri Zolkples Embong, Deputy Chairman of LTdL 2013 Organising Committee Ybhg Dato’ Ab Jalil Abdullah, Malaysian National Cycling Federation president Datuk Haji Abu Samah Abdul Wahab and race officials.